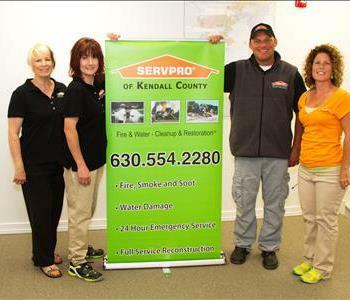 SERVPRO of Kendall County - Owner. 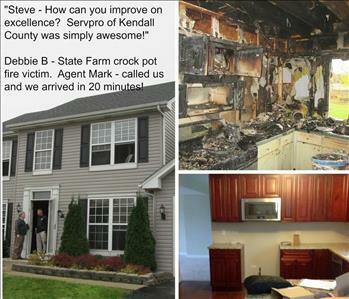 Ready for Fire Damage, Water Damage, Flood, Mold, Biohazard Clean up, Tornado Damage, Vehicle Impact Damage, Contents Packouts, Contents Cleaning, Storage, Etc. 24/7-365. 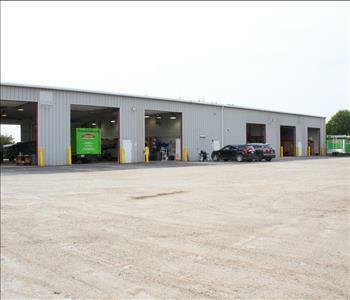 Our state of the art facility allows the opportunity to provide Green Carpet Service to all of our customers! 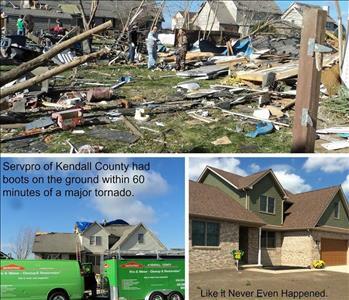 We have handled dozens of tornado losses over the years. We have the experience and compassion that is required to properly handle a customer's needs when the structure and personal property losses are significant. 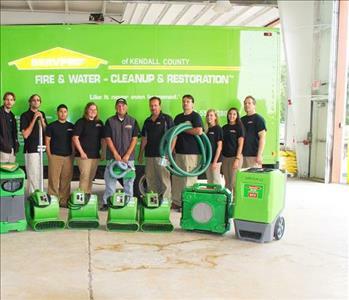 We have specialty drying equipment to properly dry and restore the beauty to your home. We have handled 100s of fire losses over the years. We are there from Day 1 strategizing and stablization to the Final Day of resetting the personal property. 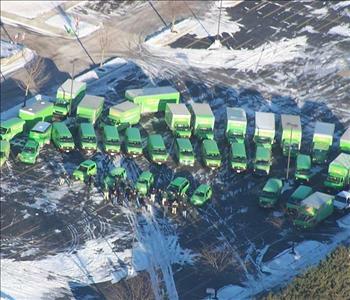 One phone call ....we handle it all. 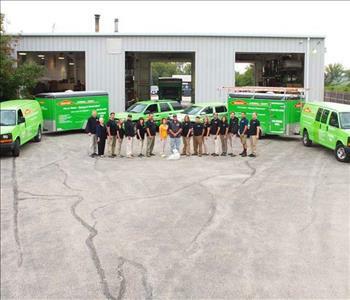 We are ready to mobilize, first respond and manage large commercial projects. Our office team knows how to handle your phone calls and concerns with care and professionalism. Our life's work is helping customers get back on their feet after a bump in the road or a large loss. Our top notch file handling makes the process much easier. Trustworthy experts are ready to help you through the difficult task of emergency services and communicating with the bill payers. Our electronic file handling will allow you to handle the daily routine like the loss never even happened.